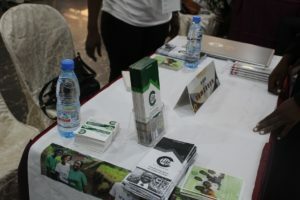 It was Tuesday morning, April 2nd, a day we the C-Life Cameroon staff were privileged to exhibit at the Puvia Fair Cameroon Tour 2019 to share with young Cameroonians, how we serve them through the C-Life vision and the Servant Leadership Fellowship Program. Our location was Hotel Franco and at 10am, smartly dressed in our C-Life T-shirts, we bumped into the hall with so much expectation. The atmosphere was cool and formal with art crafts beautifying the hall. There were many other tables which lined the halls, representing various Embassies, Ministry of Higher Education and other training institutes. The moment came and the exhibition started. The room awoke with activity as youths moved from one table to the next seeking for what will add value to their profession and career, networking and seeking for scholarship opportunities. Exhibitors engaging them with smiles and great enthusiasm. Our C-Life booth was also filled with activity. 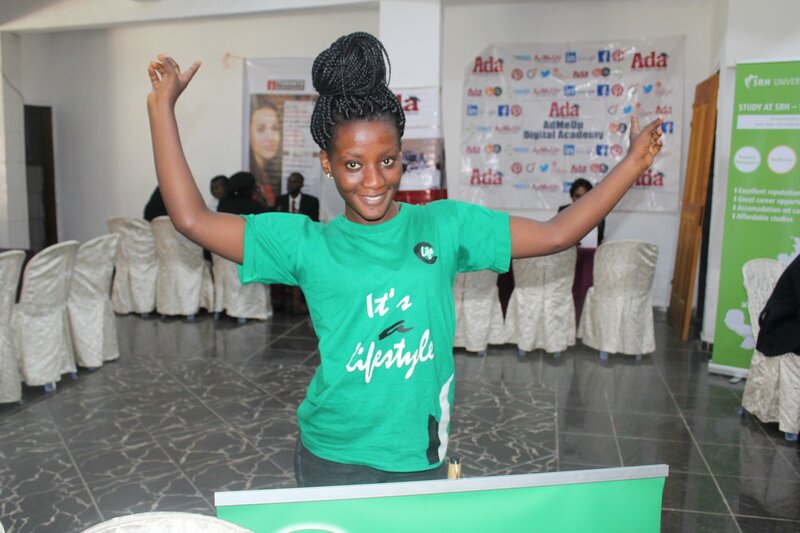 It kept us on our feet as we talked to over 85 youths, registering interested young people into the program. The team was energetic, we shared flyers and brochures to youths as they came to visit. Most of them got drawn in by to the C-Life banner as we could see them watching and reading it through. 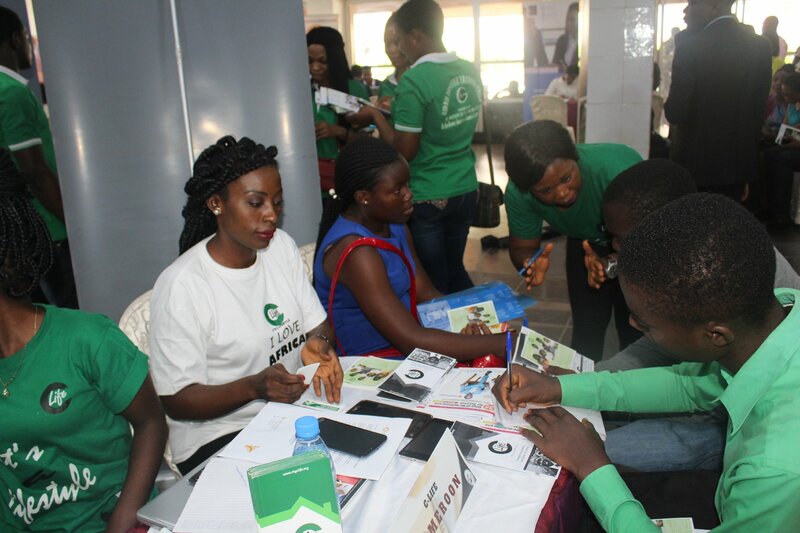 At this interval, we put one of our training lifestyle into practice; that is the host mindset by smiling at them and leading them to the C-Life Exhibition stand. We answered many questions; on servant leadership, self-leadership, career development, digital knowledge, public speaking, conflict resolution, confronting bribery and corruption, entrepreneurship and much more. 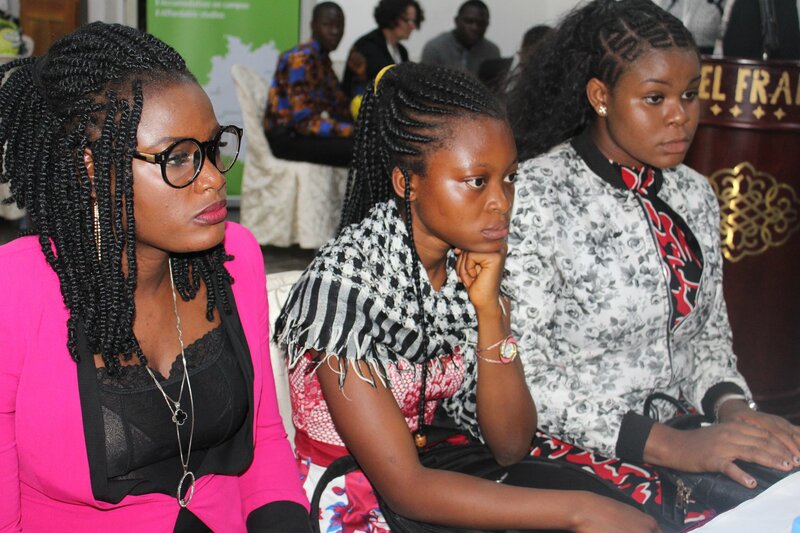 These youths were bubbling with a desire to create impact. 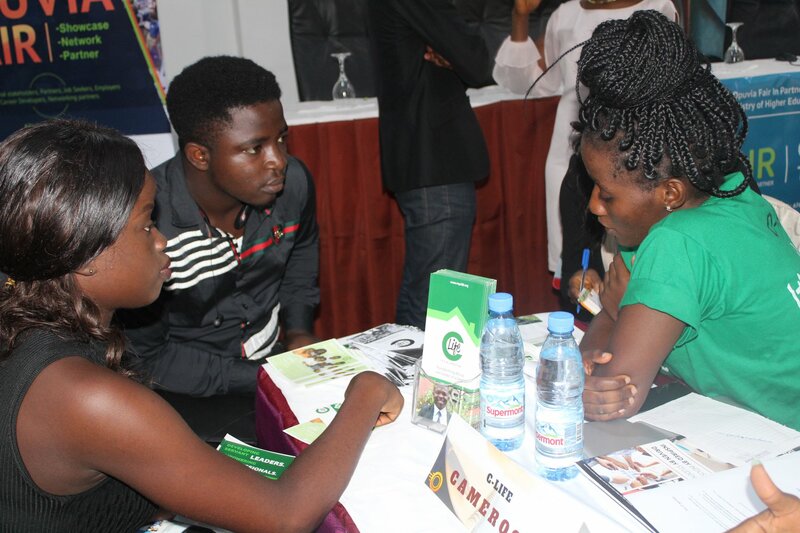 Many exhibitors noticed that when youths came to our table they stayed, and engaged for a significant amount of time. I will like to believe it is because they saw value in our service and gained some renewed hope. It was also a beautiful surprise to be appreciate by the MC of the event, based on what he has heard about C-Life. This was proof that the impact C-Life is creating is reaching out to many places. C-Life is serving BIG TIME in Cameroon. Thumbs up to the team. In the course of the day, we were also encouraged by speeches from The Algerian Ambassador and the Cameroon Youth Ambassador. The Algerian Ambassador to Cameroon talked on how the diplomatic ties between the two countries have grown over the years especially through educational opportunities. The amazing and inspiring story shared by Cameroon youth Ambassador to the Common Wealth; Achaleke Christian gave youths a second thought on how to handle a family when pursuing one’s life goals. A round of applause with bold smiles was very glaring on faces of exhibitors, change makers, job seeker, youths and those with startups when the representative of the Minister of Higher Education confirmed that the Ministry is in partnership with Opuvia for more programs like such to be organized in Cameroon for youths to benefit from. 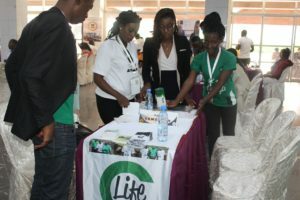 The day was a beautiful one to say the least, the C-Life staff enjoyed the incredible engagement with the youths and energy from the other exhibitors. Let’s do this again team! and will you join us at our next exhibit? 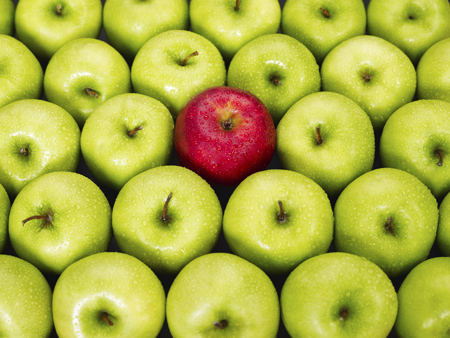 If you can’t wait till then, come and visit our office, it will be our honor to receive you.